Wakeskater Studio Indie Game Development: My Harvest Life - Episode 5: First Harvest! My Harvest Life - Episode 5: First Harvest! The first fruits of the garden are picked! Well the first-leaves of the garden at least. 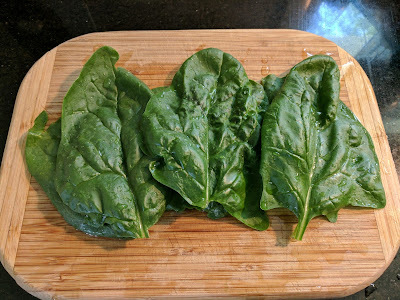 The spinach plants were doing well and were large enough to pick some delicious spinach leaves! This breed is called Noble Giant and their leaves get quite large! I'm not sure how big they would get but I picked a few of the lower, larger leaves to make a salad for lunch! And boy was it good! 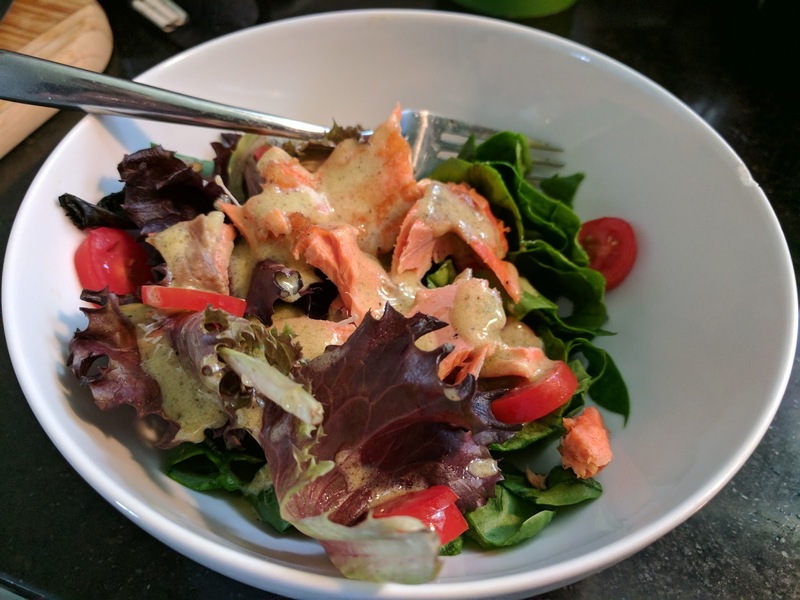 I used some leftover salmon and whipped together a dijon vinaigrette (which I put way too much on, it was very strong flavored) and added some tomatoes and romaine from the store. It was fun to eat the first leaves from my garden and I'm excited to harvest more as we get later into the summer.